There are times when Handbrake stops encoding halfway or even doesn't recognize the file type in media transcoding on your Mac computer. Don't worry, this post shares the best Handbrake alternative for Mac users to deal with DVD ripping and video conversion successfully. It cannot be denied that Handbrake is one of the most popular free DVD rippers for Mac users, all attributing to its open source and easy-to-use interface. With this free Mac DVD ripper, movies in your DVD collection can be easily liberated from the confines of the plastic-and-metal prison and then you can watch them on your iPhone, iPod, iPad anywhere anytime. 1. Handbrake seems powerless when it comes to rip encrypted DVD movies or commercial DVDs even with the libdvdcss installed or VLC support on Mac, leaving you nothing but errors like no valid source found, handbrake stuck scanning some titles, Handbrake stops encoding halfway, DVD conversion remains incomplete, to just name a few. 2. 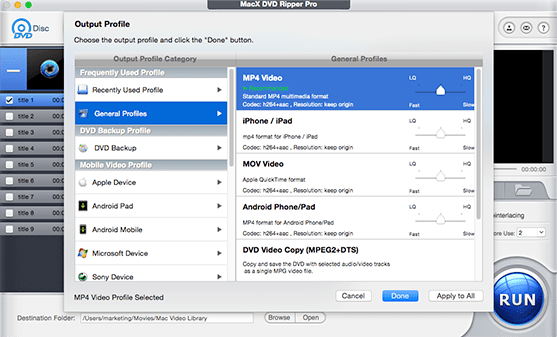 In the meantime, this Mac free DVD ripper supports only two output formats: MKV and MP4. Consequently, if you want to choose AVI or FLV as your final format for uploading to YouTube, you have to turn to other software. 3. You'll take a beating about Handbrake's bad compatibility with macOS Mojave/High Sierra even though it declared that some bugs for running on macOS had been fixed. 4. To your disappointment, Handbrake delivers a really lengthy DVD video transcoding, reportedly averagely 40 minutes taken to rip a full-length movie. This is generally 2-5x slower compared with other commercial DVD rippers. Have Any Similar Tool to Rip DVDs without Ruining the Mood? The answer is positive. Here MacX DVD Ripper Pro is introduced to help you get DVD ripping done without costing your time, energy or damaging your mood. MacX leaves Handbrake in the dust simply because of its powerful DVD title check mechanism and analysis engine, catering to the needs of removing the common CSS, Region Code 1-6, RCE, UOPs, or Sony ARccOS, Disney Fake on its own feet without any third party help. It makes it hassle-free to rip any copy protected DVDs to a wide range of formats on Mac hard drive, e.g. MP4, MOV, MKV, AVI, FLV, VOB, MP3, iTunes, H.264, MPEG, etc, for playback anytime anywhere. It never lets you down since it never stops following the latest technology. By applying the world's leading GPU hardware encoding tech and making full use of CPU cores, up to 8, this Handbrake alternative delivers a lighting fast DVD ripping speed, up to 5X faster than HB. 5 mins only for a full DVD rip if your hardware configuration is good enough, as well. Free download this Handbrake alternative for Mac OS X, fire it up and click "DVD Disc" or "DVD Path" button to import the DVD on your Mac. 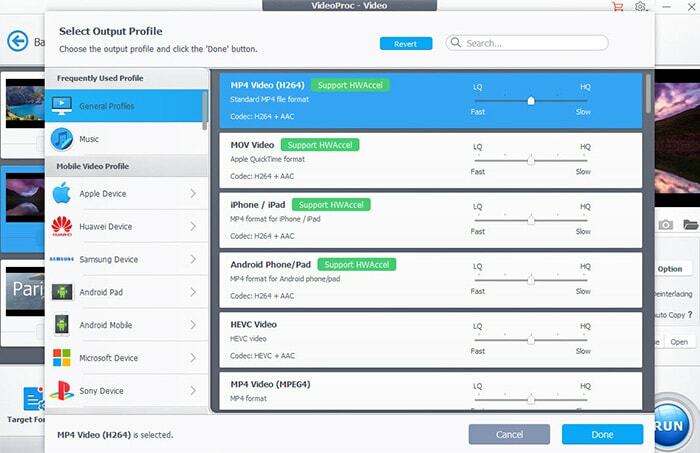 Select the output format as you want like DVD to MP4, DVD to MOV, DVD to MKV, DVD to iTunes, DVD to Music, etc. Plus, you can also apply this Mac alternative to Handbrake to copy new movies on DVD with main/full title, clone DVD to ISO image with 1:1 lossless quality. Click the "RUN" button to start to rip copy protected DVD. You can view the whole progress and are able to cancel it at anytime. Speaking of Handbrake alternative, you might think of DVD ripper software. But my friends, DVD ripping is not the only thing Handbrake can do for you. 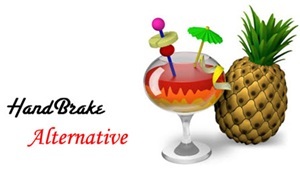 So what if your meaning of Handbrake alternative refers to video converter program? Here I also show you the best alternative to Handbrake for video conversion -MacX Video Converter Pro. As the highly acclaimed Swiss Army Knife, this best video converter alternative to Handbrake can aid you to convert any video to 370+ video/audio formats, like convert AVCHD to MP4, AVI to MP4, MKV to MOV, FLV to MP3, MP4 to SWF, etc. Plus, this all-round Mac video converter is also capable of downloading video audio from over 1000+ video audio sharing sites, including YouTube, Facebook, Vimeo, Dailymotion, Vevo, Metacafe, Instagram, Myspace, etc. It can do more things beyond your imagination. For your reference: After you convert video or rip DVD on Mac with the aforementioned HandBrake alternative Mac, you can take advantage of MacX MediaTrans to copy videos to iPhone iPad iPod mobile devices for playback on the move. Besides, this full-featured iPhone manager also supports transfer music from iPhone to Mac and move photos from iOS devices to computer for backup. Notice: We only advocate using this Handbrake alternative to copy and rip DVDs under the concept of Fair Use and do not encourage any illegal reproduction or distribution of copyrighted content. Please abide by the local DVD copyright law before doing it. Handbrake similar tool to rip any (protected) DVD to MP4, MKV, AVI, MOV, H264 without ripper crashes/incomplete DVD rip errors. 2Handbrake Stops Encoding DVD? Get the Workarounds If You Need!